This Panda Pandamonium review is brought to you by Big Fish Games. All opinions are our own. Download this free app today. Looking for a fun way to pass the time and relax on your lunch break? 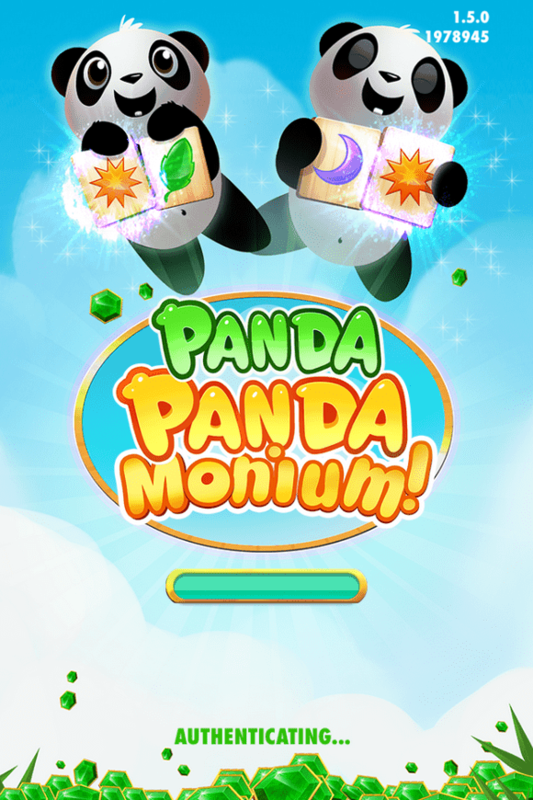 You have to check out Panda Pandamonium, a great new game from Big Fish! Trust me, you’re going to love this one! Plus, hello, adorable pandas that need saving? Who wouldn’t be excited? 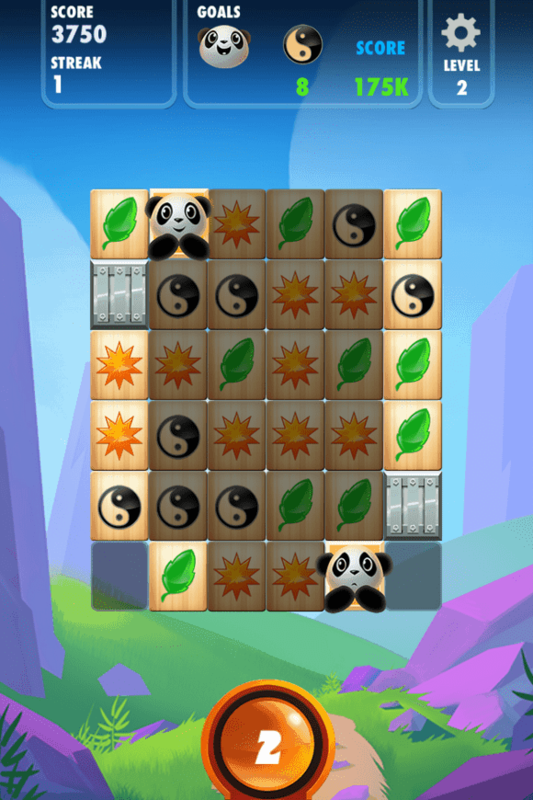 Panda Pandamonium is loosely based on the classic game of Mah Jong. I used to spend hours upon hours playing that game on my computer, so I was really excited to try out this twist! Here’s the thing, as much as I loved Mah Jong, it could be a bit repetitive. The same tiles, the same game, the same goals. 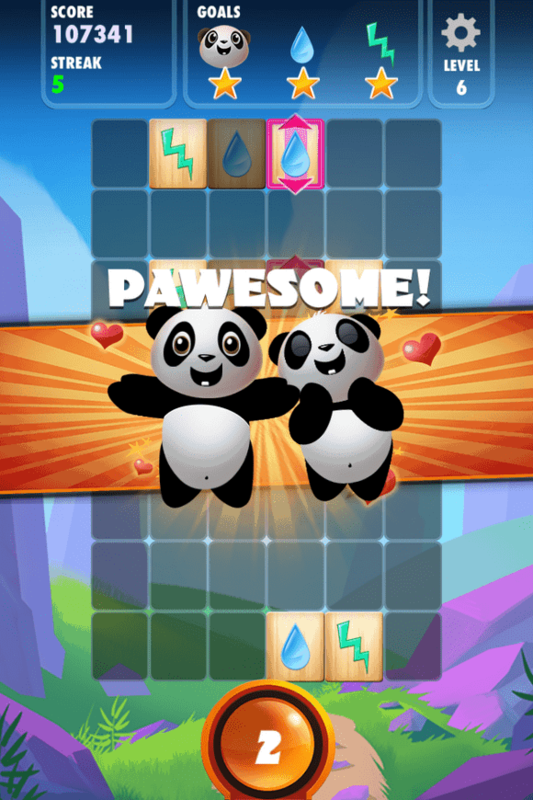 Panda Pandamonium totally shakes up the classic, making it a different game every time! When you start Level 1, you’ll notice the differences right away. Now, I didn’t really pay attention to the goals at first, thinking that I should just blow past the levels saving the pandas. Then I actually took a second to READ those goals and the game got even more fun! See, if you just want to play the game and get past levels, all you really have to do is free the pandas from the blocks trapping them. See them up there, all sad and stressed out? Poor little guys! Match tiles until you can break them free! Easy, right? Well, that’s all great if you’re happy with just one star on every level! If you want all three stars, though, you have to do the challenges! These include things like matching so many of a certain tile, breaking all the rocks, getting a clean sweep and so on. When you clear a board, the pandas are so happy that they give you a fun smile and tell you how “pawesome” you are. Isn’t that cheery? Everyone should be called pawesome at least once a day! As you clear levels, you’ll also unlock different sections of the boards, each with new challenges. 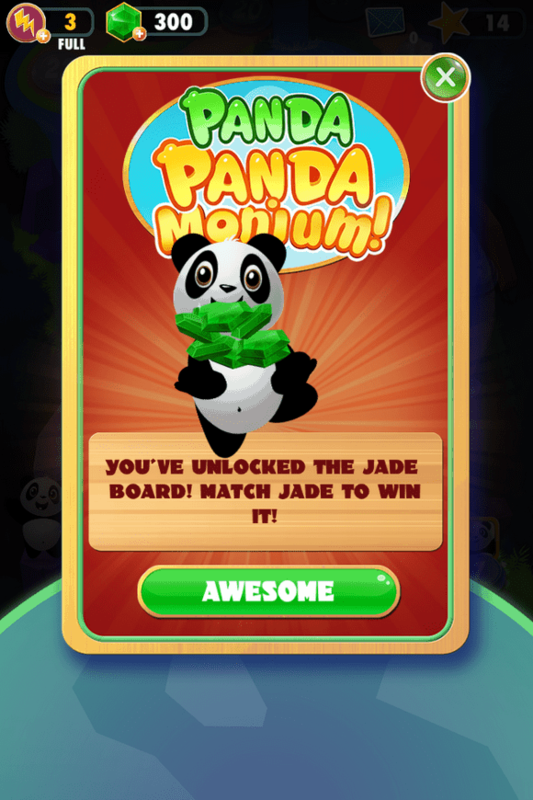 You’ll also unlock the Jade Board, which lets you match Jade pieces every six hours to earn Jade points. The Jade lets you do things like buy bonus powerups and take extra turns on tough levels. Panda Pandamonium is so much fun, I bet you’ll stay up way past your bedtime playing it too! I love that the levels are easy enough to get past. I did hit a few tough ones, but so far I haven’t been completely frustrated. They offer challenges, don’t get me wrong. Especially if you want all three stars. They just don’t make you want to throw your expensive phone across the room in frustration! Check out the video to learn more! If this Panda Pandamonium review has you intrigued, head over to download it for iTunes! Then come back and tell us how much you love it! 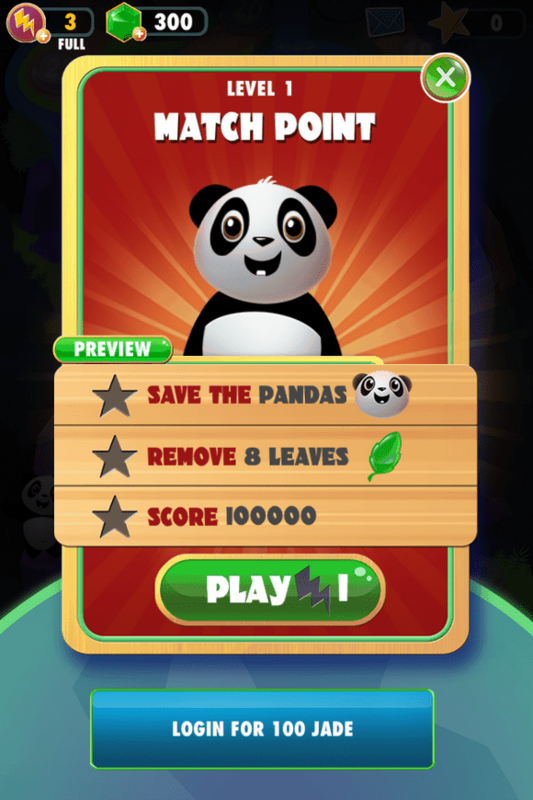 Have you played Panda Pandamonium yet? What is your favorite part? I’ve seen this fun game floating all over the internet. Must be hot! I love those pandas. I’ve played this one and enjoy it but I have 3 or 4 other Big Fish Games apps that I’m even more addicted to. *Sigh* They’re all so much fun because they’re relaxing but have extras that make it interesting. Love Big Fish Games. Looks like an adorable game! This looks like such fun! My kids would have a blast with this game. I’m just about to shut down my computer for the night and play this. I’m on level 40+, and having so much fun. Looks like a fun game. The pandas are super cute. Looks like a really cute game, The graphics are fun and whimsical! That is cute. Sounds like a good game. This sounds like a fun game. I am going to have to try it with my boys. This looks like a fun game, but one that I’d get addicted to fast! My girls will love it!! Aww this looks so adorable! My best friends daughter would love this so much! I just met someone who is obsessed with pandas. Can’t wait to pass this along to him! That looks like so much fun! I can see how it would be totally addicting! This looks like a fun game that kids would definitely enjoy! Who doesn’t love adorable pandas? This looks like a great game for my kids to play. I’ll have to download it for my kids. Thanks! I seent his game and downloaded it – Isa loves playing it! She tells me it is hard to stop playing – she is addicted! That sounds like a really fun game. I think my son would love it, and I would, too! Oh, I was hooked on Mah Jong in university, I will have to check out this game. I have been loving this game – it’s so much fun! This looks like a really fun game that would get additive quite quickly. Now i have something do play in the carpool lane at school. looks like a really fun game, thanks for sharing. I love games like this! I’m looking forward to trying it! My daughter would love this game! Oh this looks like fun! I will have to download it for my five year old!